A shoplot above a Chinese dai chow is an unlikely place to find a wine bar. 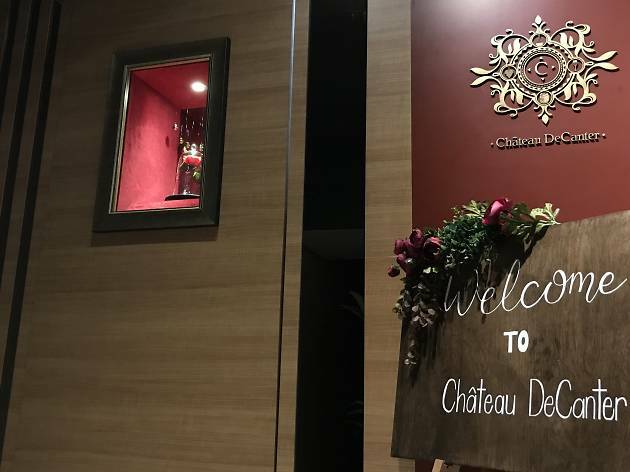 But then again, Château DeCanter has an unlikely background – its owner, Scott Chor, is a will writer who turned his passion for wine into a full-time venture after gaining his Level 3 certificate from the Wine & Spirit Education Trust. 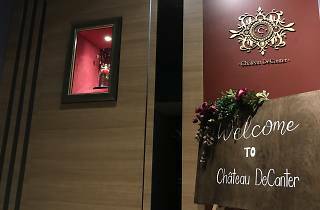 True to its name, Château DeCanter offers plenty of breathing space – plush leather chairs, three private rooms and an airy smoking area cater to a wide range of drinkers looking for a place to lounge about. Don’t expect to see many snap-happy Instagrammers here, however, as the lights are kept low and dim – which is a plus point, in our opinion. 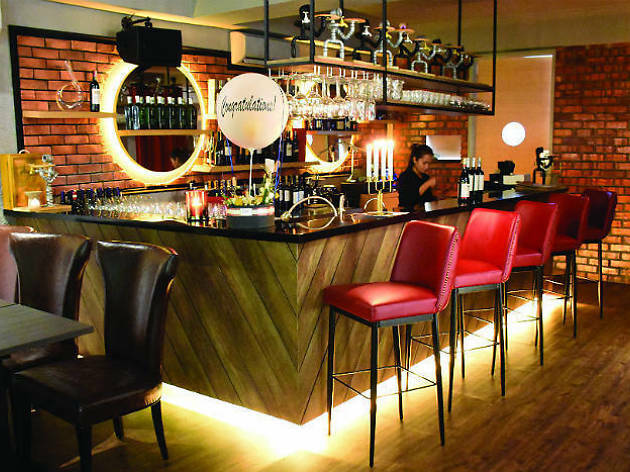 Unlike most wine bars, you won’t find a wine list here – the 150-plus labels available are either chosen off the rack, or personally recommended by Scott or the bar’s general manager Karthivel Chandran. Both Old and New World wines are well represented, but it’s really the selection of Old World wines that catches our eye; classic labels like Châteauneuf-du-Pape, Château Lafite, Château De Fonbel and JPV Le Jardin de Petit Village were among the prized labels spotted here, and prices range from about RM250 to a few thousand ringgit for a Château Lafite. The casual drinker might baulk at such prices, but wine enthusiasts will be pleased to find such wines outside the confines of pricier city bars. Not that the place neglects the casual wine drinker. 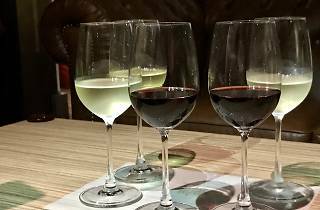 In fact, they’re the ones who stand to benefit the most from its generous RM90 flight of five wines that includes a sauvignon blanc, another white wine (chardonnay is a common pick), two reds and a dessert wine. 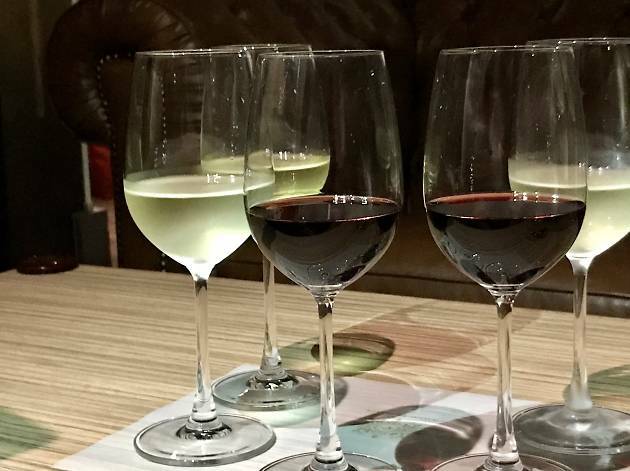 The selection of wines offered changes every few days, so there’s always a reason to come back every weekend. 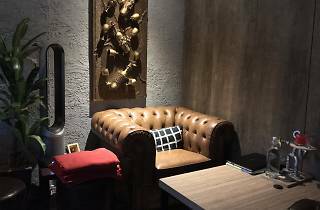 Otherwise, a bottle of house pouring wine starts from RM88 – at the time of writing, the house pour was a merlot from Argentina-based label La Linda – and a glass priced from RM35. 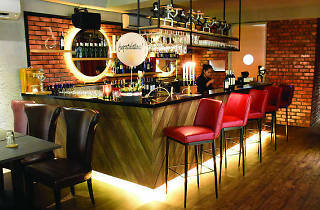 On the food menu is an eclectic selection of European and fusion dishes that includes the popular Coconut Pasta (RM35) – pasta with a creamy coconut sauce and prawns – and ‘Wine Tea’ (RM40), a two-tier savoury platter similar to an afternoon tea, but with cold cuts and cheese instead to accompany your bottle of wine. 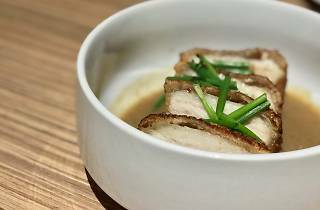 Other recommended choices are the roast pork belly (RM33) served with a five-spice signature sauce, as well as Salt Baked Chicken (RM55), which is sourced from Happy Salted Chicken restaurant in Jinjang that Scott’s family has owned for over 30 years. 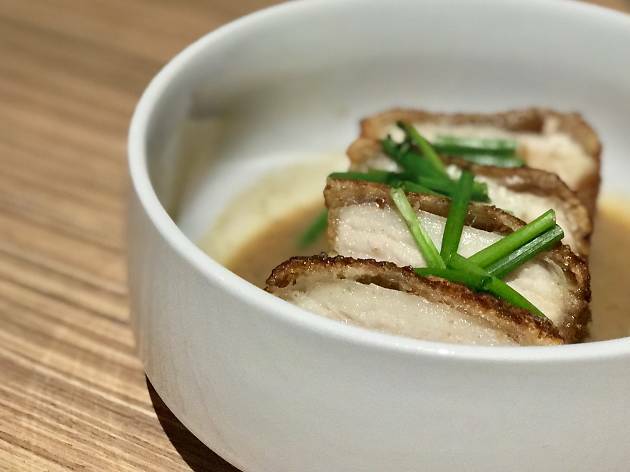 Sure, it’s an unconventional dish to have with a glass of Bordeaux – but then again, this bar isn’t one for following conventional rules.